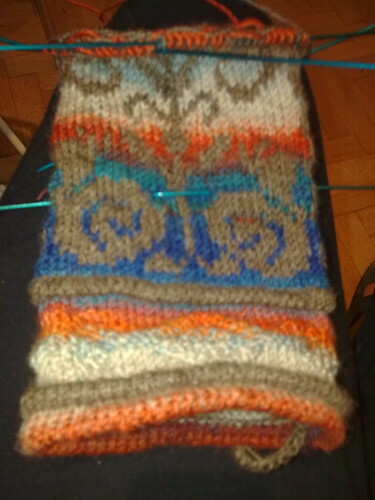 You'd think, given the other project I've taken on this month, that very little would be getting done in the knitting department. 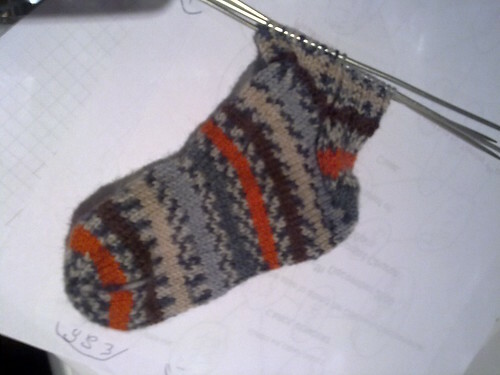 A quick pair of socks for Boo using my 99 pence Oxfam yarn. 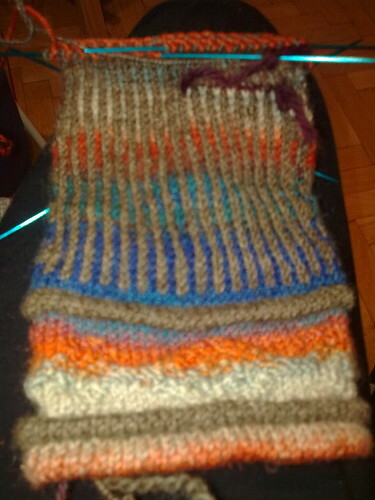 It's been a long time since I did any really self-striping socks, and they're kind of fun. 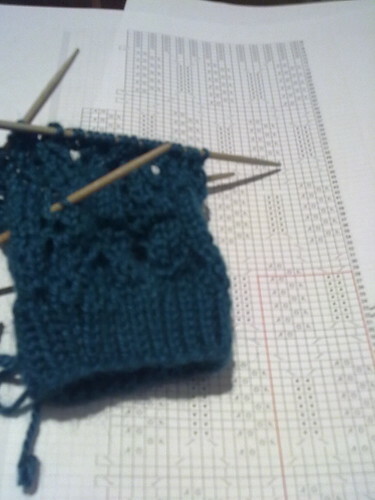 Why write a novel when you can write a knitting pattern? Indeed...this is Version 2.0 of these mitts, which I'd really like to have done and published by the beginning of December. They'd make really good Christmas presents! This version is in Blue Sky Alpacas alpaca/silk. Yum. palm of the Snail Mittens. I am adoring everything about these except for the fact that I'm having to knit them on size 000 (or 00 - I'm not sure) needles to get gauge. Ooof! So, what's on your needles for the holidays? Written by porpoise On November 12, 2009 In "Christmas 2009", "designs"